Juventus won the Coppa Italia thanks to Alessandro Matri's extra-time strike which secured a 2-1 victory over Lazio in Rome. Juventus won the Coppa Italia for the first time in 20 years thanks to Alessandro Matri's extra-time strike which secured a 2-1 victory over Lazio, keeping the Turin giants' hopes of an historic treble alive. 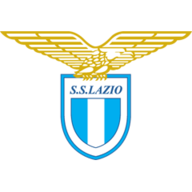 Stefan Radu gave Lazio the lead in the fourth minute, but Juventus hit back six minutes later through Giorgio Chiellini’s clever finish from six yards. Just moments after substitute Filip Djordjevic had hit both posts for Lazio, Matri saw his shot squirm under Etrit Berisha from 12 yards for the winner in Lazio’s own backyard at the Stadio Olimpico. With the Serie A league title secured and a Champions League final date with Barcelona to come in Berlin, Juve went with No 2 goalkeeper Marco Storari instead of Gianluigi Buffon, while Claudio Marchisio and Alvaro Morata were suspended. They were behind after four minutes, Radu scoring his first goal of the season off his shoulder from Danilo Cataldi's free-kick from the right. Celebrations from half of those inside Lazio's home ground were cut short as Chiellini, also netting his first goal this term, hooked the ball into the roof of the net on the volley from six yards after Patrice Evra had knocked down Andrea Pirlo's deep free-kick. Chances were at a minimum for the remainder of a scrappy first half and the majority of the second period, Juventus restricting Lazio to a long-range effort from Marco Parolo after Paul Pogba's miscontrol, but it flew just wide. Minutes after coming on in normal time, Djordjevic nearly won it for Lazio, but his weak effort when through on goal was saved by Storari at the striker's feet. Djordjevic's speculative effort 30 yards out in the first half of extra time came agonisingly close, hitting one post, bouncing across the line and hitting the other post, and Lazio's bad luck was compounded minutes later. Matri, who had only been introduced six minutes before full-time, saw the ball fall to him fortunately in the penalty area before his low shot creeped under Berisha for the winner. Juventus are now on course for a first-ever club treble after claiming their first Coppa Italia crown in 20 years. Watch the Champions League final between Juventus and Barcelona in Berlin live on Sky Sports 1 HD and Sky Sports 5 HD from 6pm on Saturday, June 6.